As the Game Developers Conference rolls on, Unity, Epic, and Crytek have each put together "sizzle reels" showing off the capabilities of their game engines. We've collected all three of them together in this news post: Do you dare to compare? Game engines are big news at GDC this year. On Sunday, Epic announced that the Unreal Engine 4 is now available at no charge: Developers need only pay a five percent royalty on gross revenues on shipped games or applications, which Epic's Tim Sweeney described as "a simple arrangement in which we succeed only when you succeed." Yesterday, Unity Technologies went one step further by making the Personal Edition of the Unity 5 engine straight-up free, no strings attached, while the Professional Edition can be had for $75 per month or $1500 outright—not exactly cheap, but almost certainly a cheaper option than Epic's percentage-based cut. Crytek's CryEngine remains somewhere between the two, where it's been since the last GDC, available for a $10 monthly subscription with no royalty fees. So which one is better? 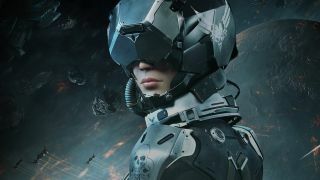 The Unreal Engine 4 has a technological edge over Unity, but Unity 5 is a big step up from previous versions and will have built-in support for the Oculus Rift in the relatively near future. The CryEngine, meanwhile, has always been about bludgeoning even powerful PCs into submission, and I think it's interesting that its "tech showcase" video focuses on its specific capabilities, like Screen Space Directional Occlusion and Volumetric Fog Shadows, rather than a simpler and more consumer-friendly list of games it's being used in, as the other two do. The particulars of this engine or that may not really matter to people who don't make games (which is most of us), but what does matter is that this kind of technology, that not so long ago was available to only a few select studios, can now be had by virtually anyone. That's an exciting development no matter how you look at it. And now, to the videos!